HAMMER PERFORMANCE offers quality ignition modules for carbureted Sportsters and Buells. 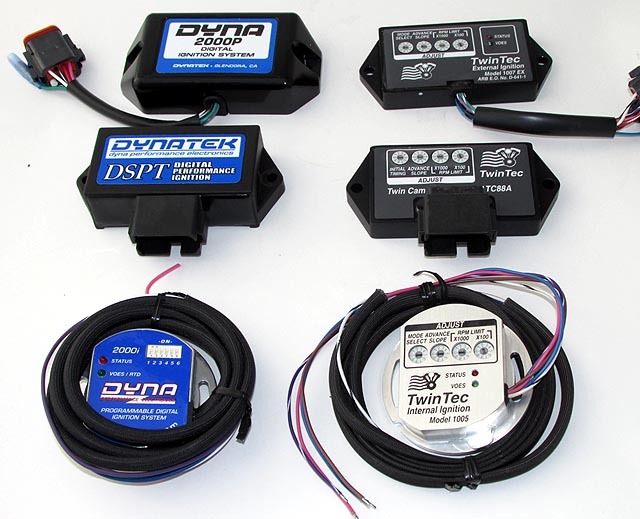 The Dyna products are well proven, reliable, and attractively priced. They meet the needs of the majority of street performance engines. The Twin Tec products are full-featured and have more adjustments and more resolution. Programming kits are available for most modules, or you can use the preprogrammed curves and settings using the controls on the modules themselves. Note: 12-Pin modules were stock in 04-06 XL's. Note 2: The Dyna 2000 TC-3 will work in 2006 models, however the speedometer & odometer will be off with no way to correct it. Speedo/odo correction can be accomplished with the DTT TC88A using the programming kit available below. Note: Nose cone modules were stock in 98-03 XL's. The DTT 1005S module is plug-and-play in 98-03 models. All other nose cone modules listed must be wired in and can be installed in any 1986-2003 model. Note: 7-Pin modules were stock in 91-93 XL's and '95 Buells. 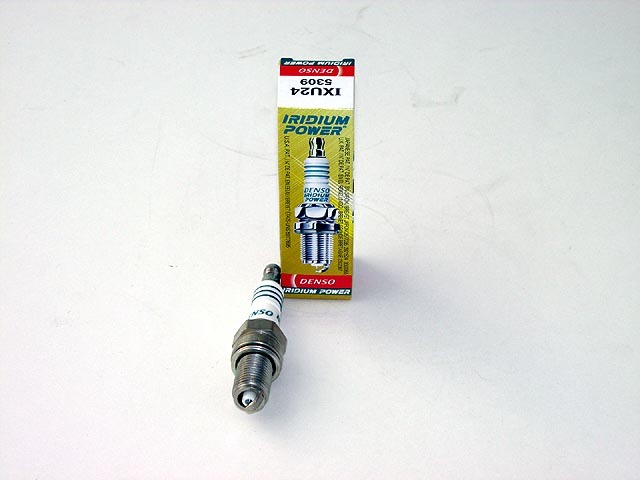 When it comes to high performance spark plugs, it's tough to beat the Denso Iridiums. The iridium material resists temperatures up to 4000 degrees F and the .4mm electrodes fire through the most demanding conditions. We carry the IXU24 (cold) heat range only as we've found this ideal for performance engines. 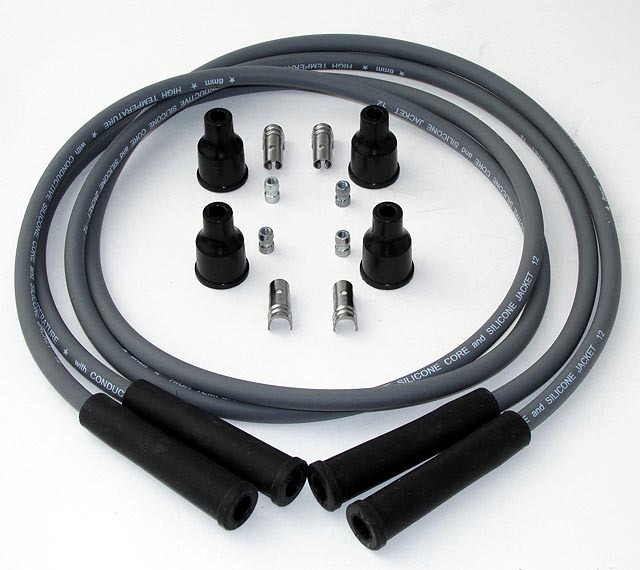 HAMMER PERFORMANCE carries both Dynatek 8mm Suppression Plug Wires and Drag Specialities 8.8mm Suppression Plug Wires. 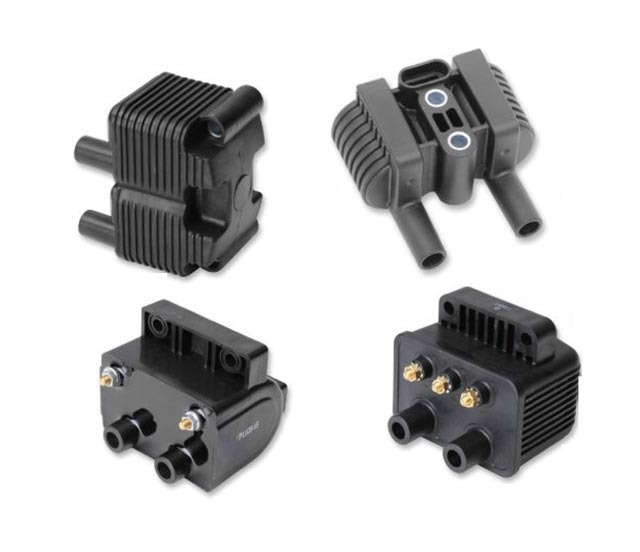 Both are high quality, delivering maximum energy to the spak plug without interfering with sensitive electronics. HAMMER PERFORMANCE carries high performance ignition coils for all 1986-present Sportsters. Each of these is a high voltage performance coil, reaching a peak voltage of at least 20% higher than the factory stock coil. The stock stamped steel timing rotor in a carbureted Evolution XL is unfortunately a high failure item in a performance motor. The hubs like to fracture and separate and this has left many riders stranded by the side of the road. 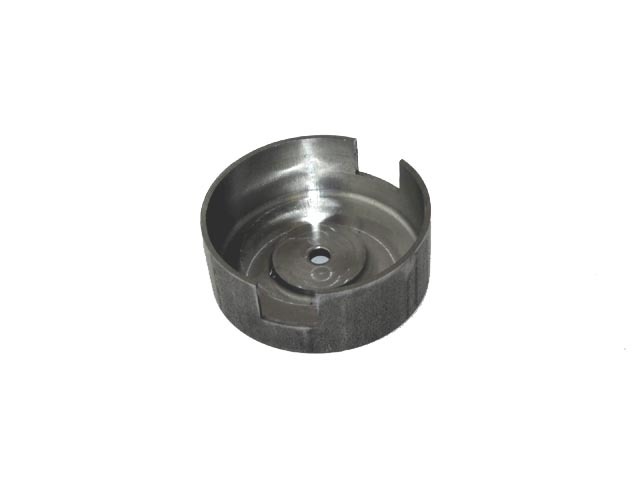 Head off this problem with one of our CNC machined steel timing rotors. These won't break and leave you stranded!